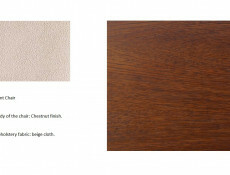 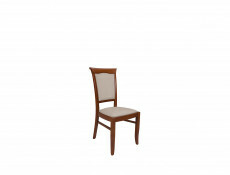 Traditional dining chair in Chestnut from KENT furniture range. 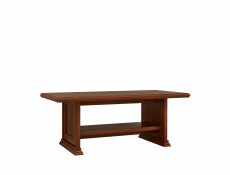 Solid wood base of frame and legs. 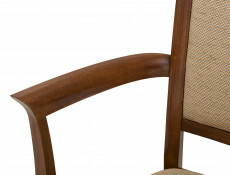 Chair delivered fully assembled. 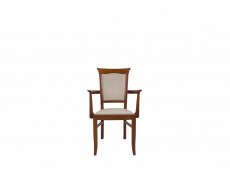 Padded coffee fabric seating area.Richly sculpted and decorated, this chair will add old-world charm to your room that will give you immense enjoyment for years to come. 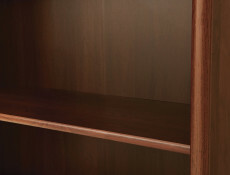 Size: 47 cm (W); 93 cm (H); 53 cm (D). 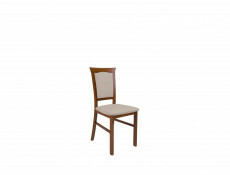 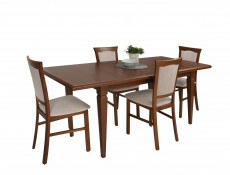 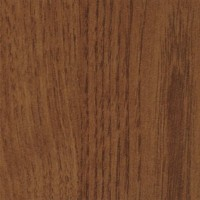 Available in dark Chestnut finish.All chairs come fully assembled and ready to use. 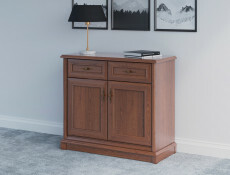 1 drawer at the bottom and an open compartment at the top.Richly sculpted and decorated cornices, plinths and framed panel facades, combined with subtle handles and bevelled glass edges in the display cabinets, all lend a quaint, olde-worlde charm to your room that will give you immense enjoyment for years to come. 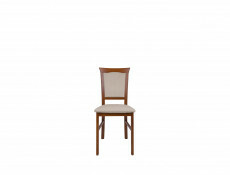 Traditional Dining chair with attractive curves from KENT furniture range. 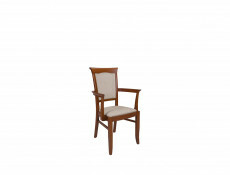 Padded coffee fabric seating area.Richly sculpted and decorated this chair will bring old-world charm to your room that will give you immense enjoyment for years to come.Size: 45 cm (W); 98 cm (H); 55 cm (D). 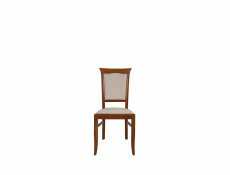 Dining chair with attractive curves and arms for added comfort from KENT furniture range.Padded coffee coloured fabric seating area.Richly sculpted and decorated frame will add old-world charm to your room that will give you immense enjoyment for years to come.Size: 59 cm (W); 98 cm (H); 55 cm (D). 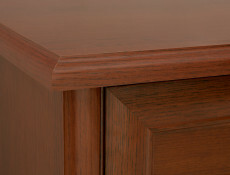 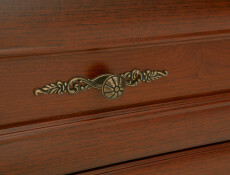 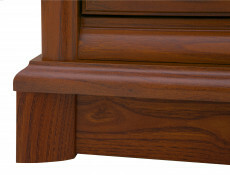 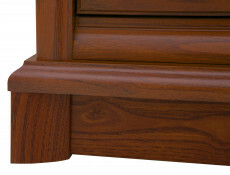 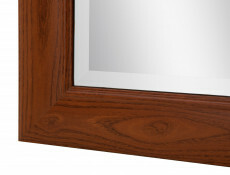 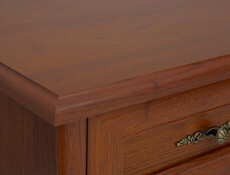 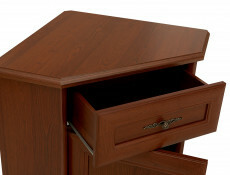 Solid wood lower frame provides stability. 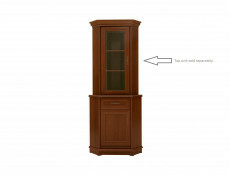 Size: 154.5 cm (W); 88 cm (H); 11 cm (D). 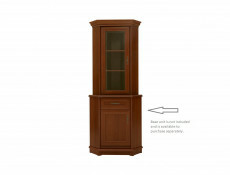 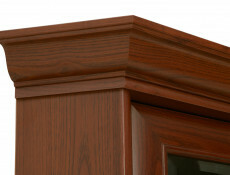 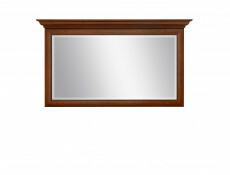 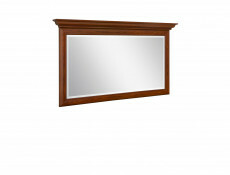 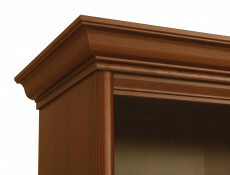 KENT furniture range offers a landscape, rectangular mirror with attractive cornice at the top. 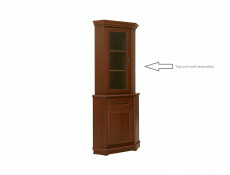 Size: 65 cm (W); 51.5 cm (H); 130 cm (L). 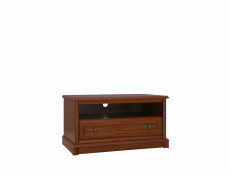 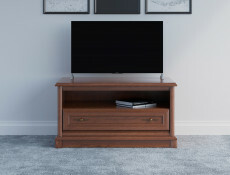 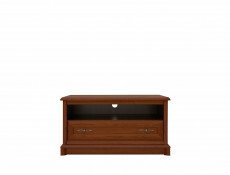 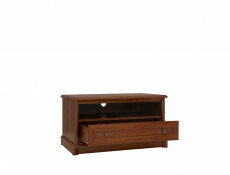 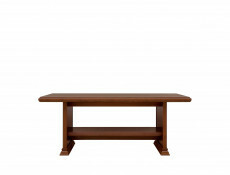 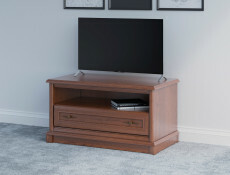 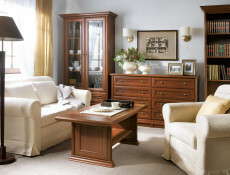 KENT furniture range offers a coffee table with storage shelf underneath. Size: 101 cm (W); 54.5 cm (H); 54.5 cm (D). 1 open compartment along the top for electronic equipment.1 drawer underneath for storing DVDs.Richly sculpted and decorated cornices, plinths and framed panel facades, combined with subtle handles and bevelled glass edges in the display cabinets, all lend a quaint, olde-worlde charm to your room that will give you immense enjoyment for years to come. 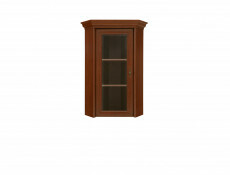 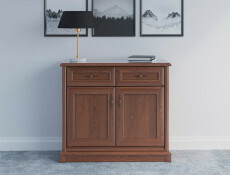 Vintage inspired glass fronted corner display cabinet top unit in dark wood tone Chestnut finish from traditional Kent furniture range. 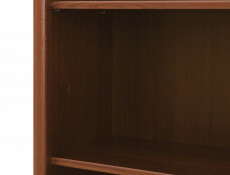 Glass fronted top dresser display unit can be placed on top of base corner sideboard EKOM1DSN available to purchase separately. 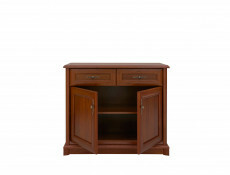 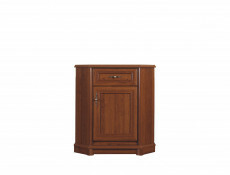 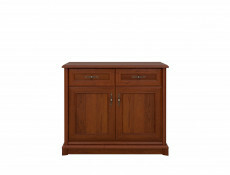 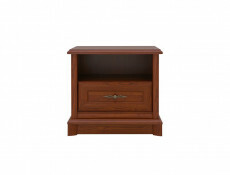 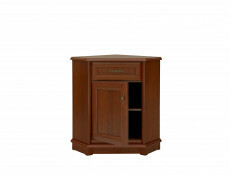 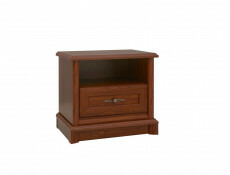 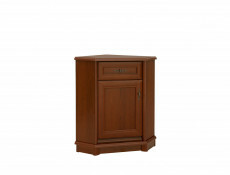 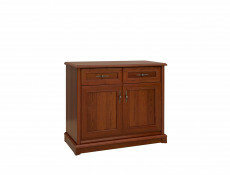 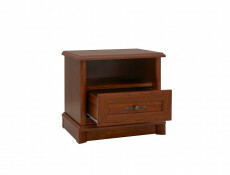 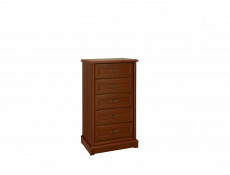 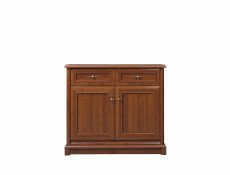 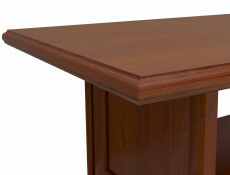 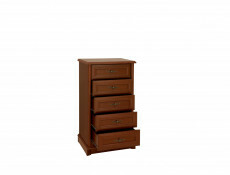 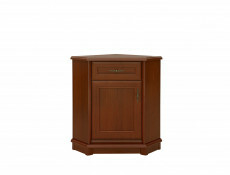 Freestanding unit that can be placed on top of a sideboard. 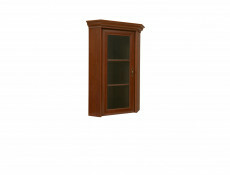 1 glazed panel door with 2 shelving inserts insideQuality hinges.Beautiful rich and durable Chestnut wood effect finishMetal ornate handles. 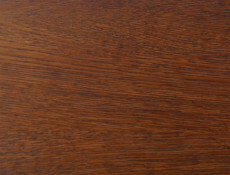 Size: 58.5 cm (W); 114.5 cm (H); 58.5 cm (D). 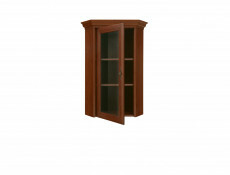 Richly sculpted and decorated cornices, plinths and framed panel facades, combined with subtle handles and bevelled glass edges in the display cabinets, all lend a quaint, olde-worlde charm to your room that will give you immense enjoyment for years to come.Size: 61.5 cm (W); 108.5 cm (H); 45 cm (D). 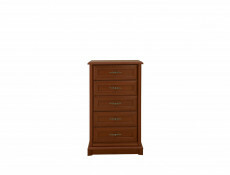 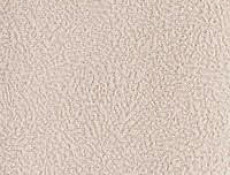 Size: 110 cm (W); 204.5 cm (H); 43 cm (D). 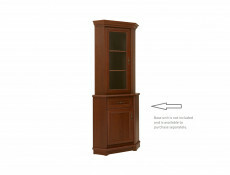 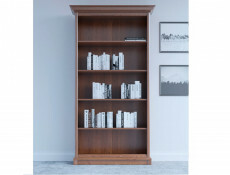 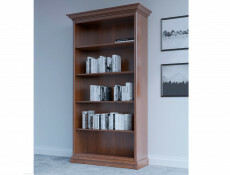 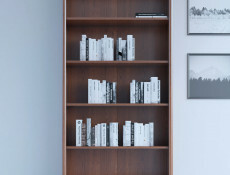 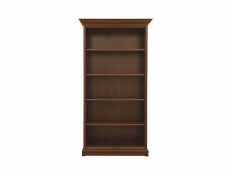 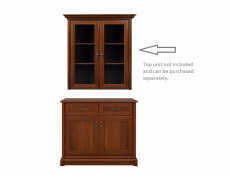 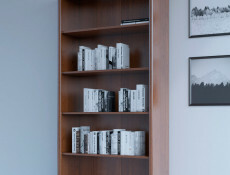 KENT furniture range offers a tall shelving unit. 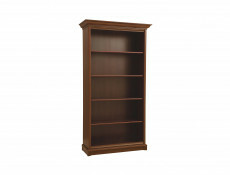 4 shelving inserts proved 5 open storage compartments.Richly sculpted and decorated cornices, plinths and framed panel facades, combined with subtle handles and bevelled glass edges in the display cabinets, all lend a quaint, olde-worlde charm to your room that will give you immense enjoyment for years to come.